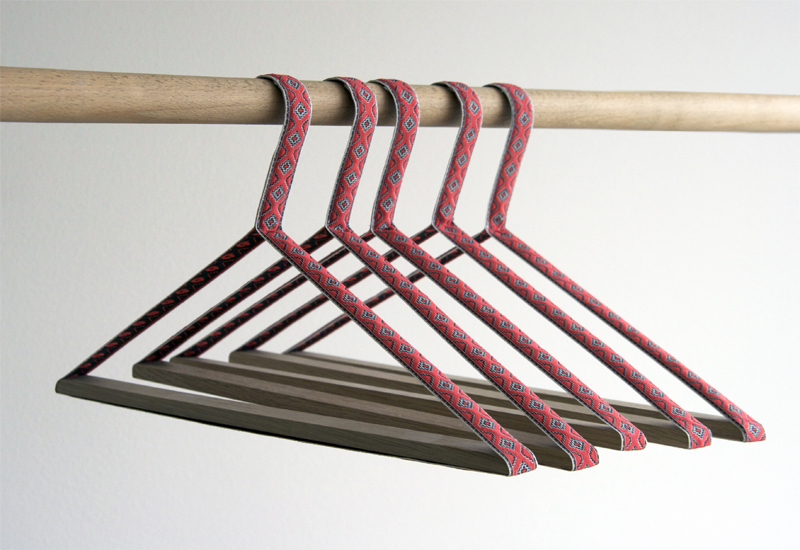 This is a decorative and ultra-light weight hanger. 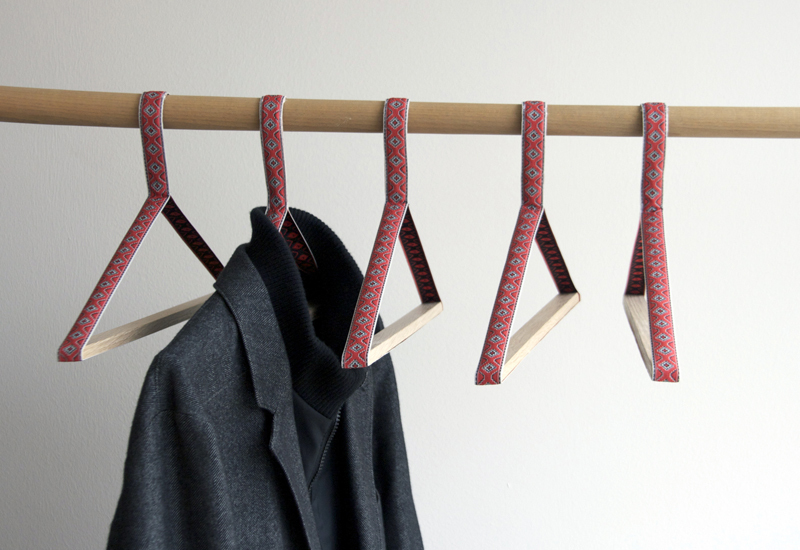 A revolving textile belt is shaped by a wooden slat and forms the silhouette. 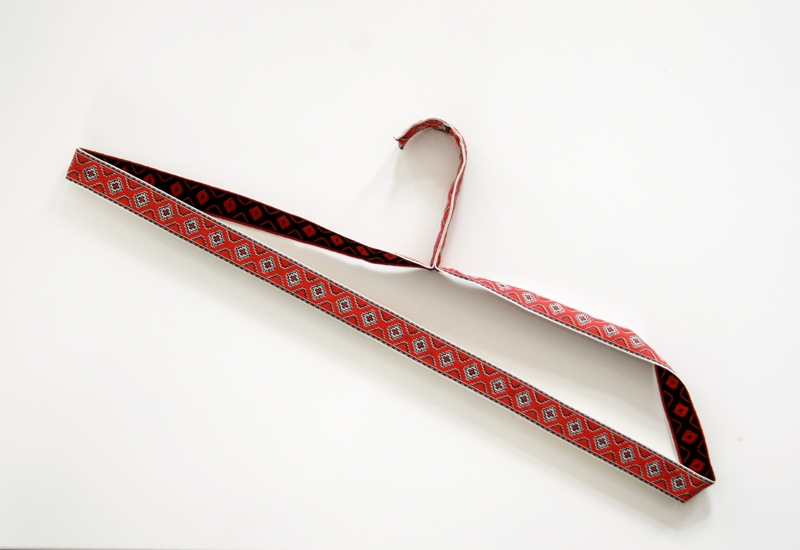 Ease of threading through the collar is guaranteed by the use of a reduced and flexible design and the clothing is placed in a gentle manner on the textile belt. There is the possibility of having an individual design. 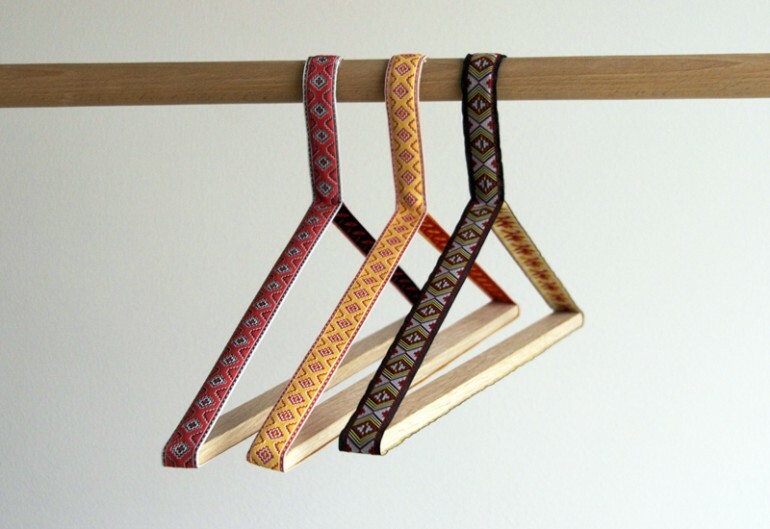 Woven and stitched logos for company specific use as well as traditional craftsmanship of local or traditional patterns are possible and therefore oksana is offering new ways of application. 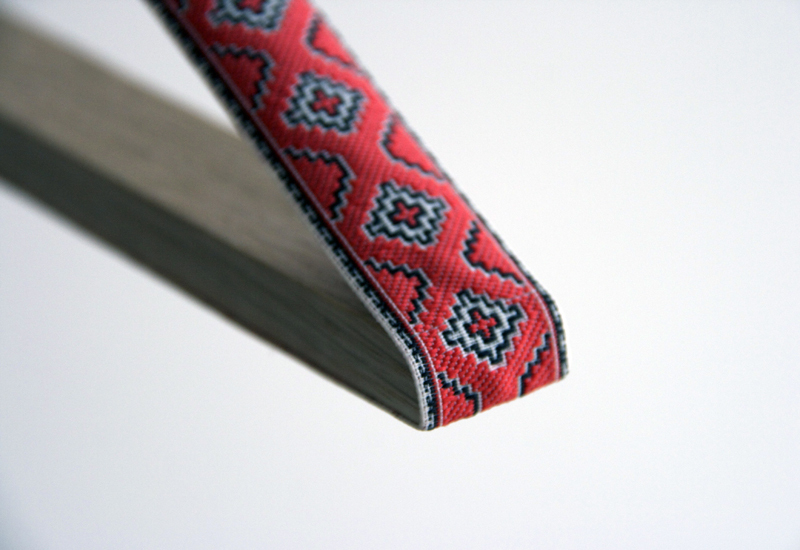 The shown workmanship is made from traditional woven textile belts from Western Ukraine.